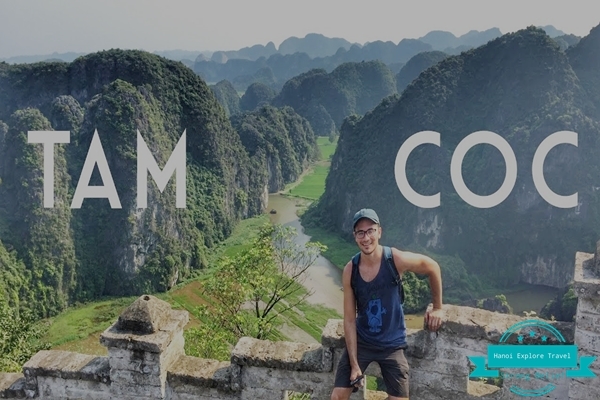 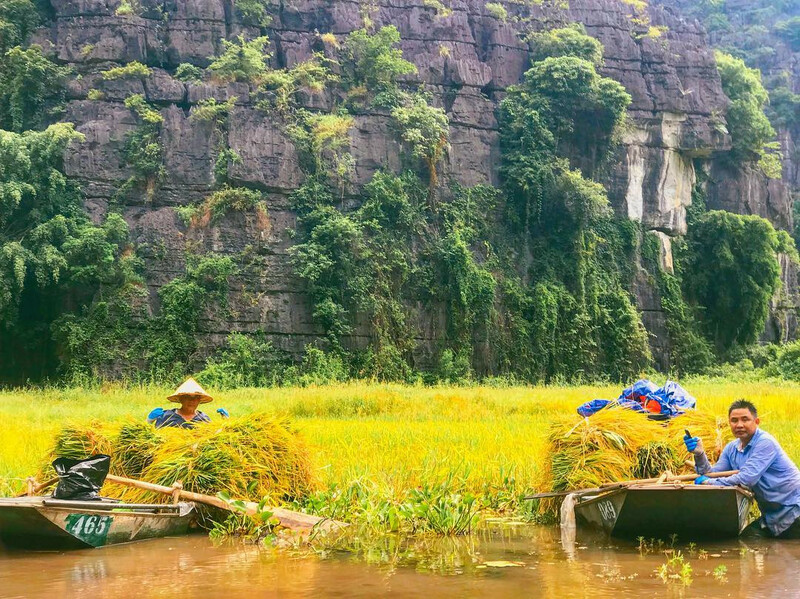 Tam Coc is a combination of two distinct attractions: Tam Coc, a flooded cave karst system and Bich Dong, a series of mountain pagodas. In Tam Coc boat tour you’ll be over whelmed by the natural mountainous terrain in various shapes and the limestone caves lying on the Ngo river crossing peacefully. 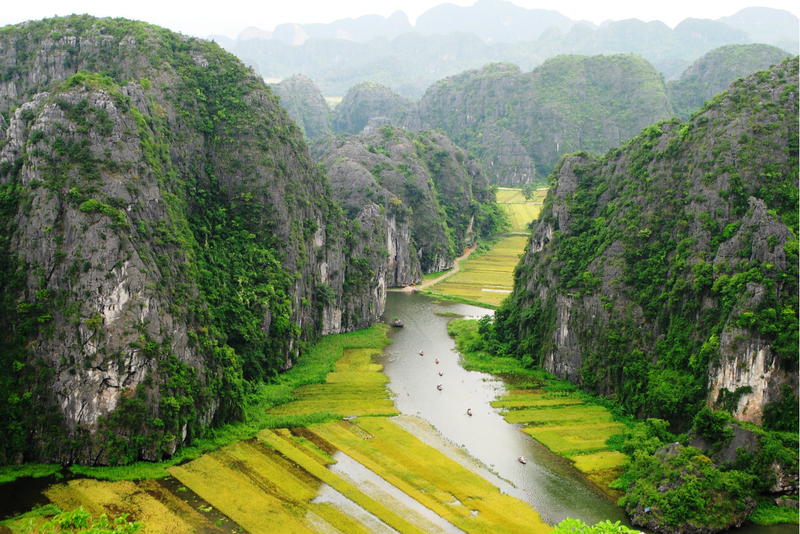 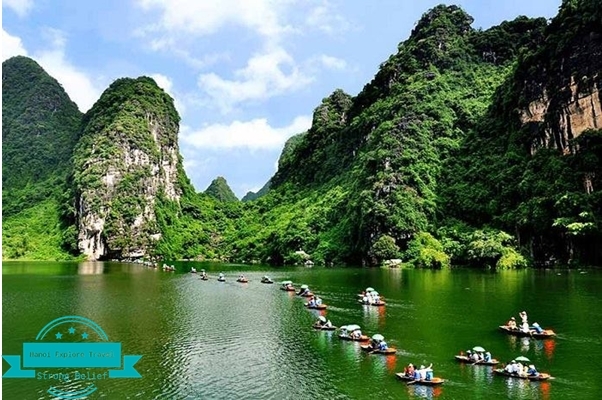 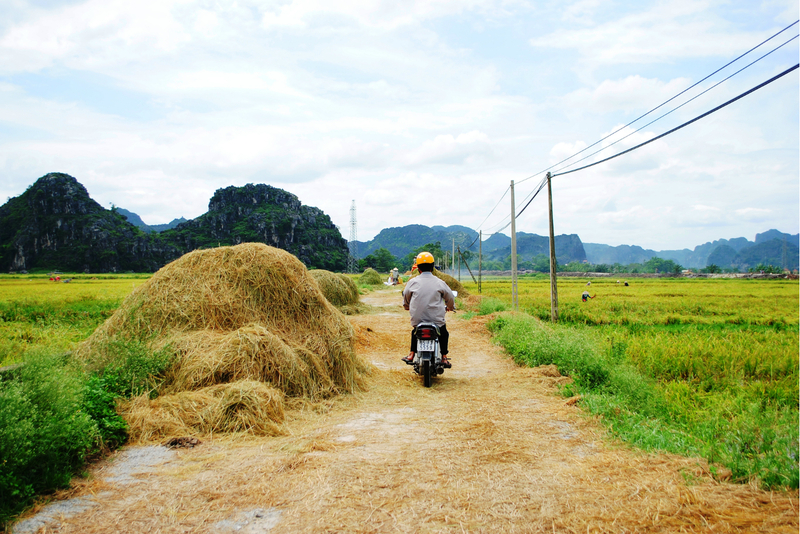 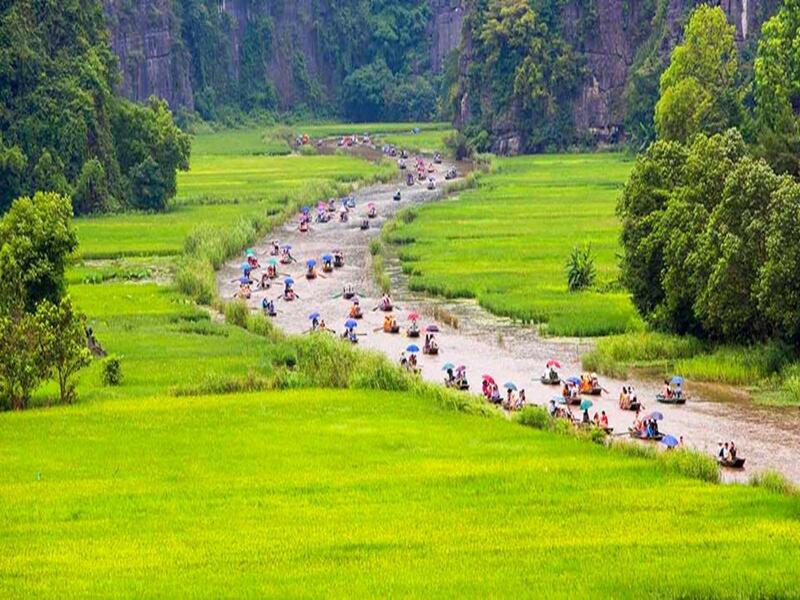 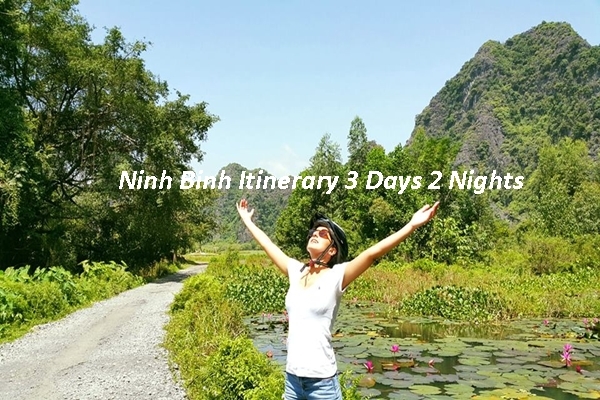 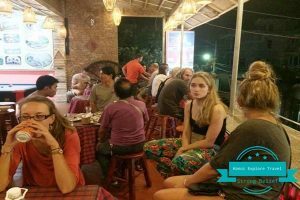 Besides the marvelous scenery of the limestone karsts, this is a chance for you to enjoy interesting services and activities through Tam Coc village by learning about the idyllic life in Ninh Binh, admiring yellow and green fields of each season…it will be a great experience for your holiday. 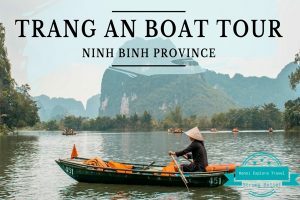 Within an hour on the boat, local boat riders will orderly take you to visit three Tam Coc caves: Hang Ca (the first grotto), Hang Hai (the second grotto) and Hang Ba (the third grotto), finally passing a floating market if you want to buy something, local women normally attempt to sell embroidered goods to passengers. 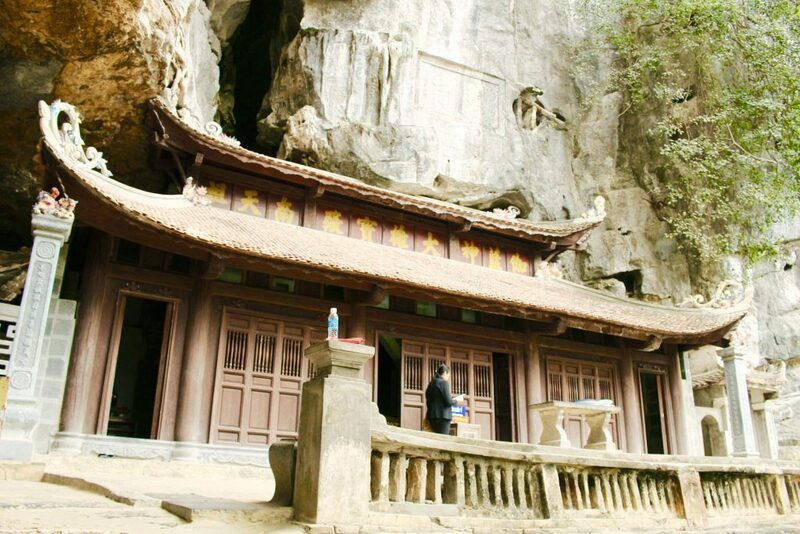 The first grotto: 127 m in length and the width of entrance is 20 m, Hang Ca is crossing under a big mountain. 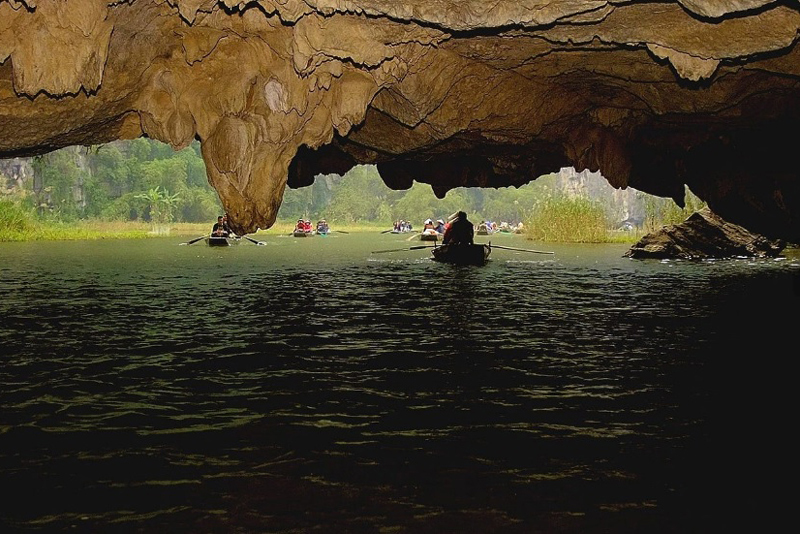 After the end of the tour on Tam Coc river, it’s time for you to visit Bich Dong Pagoda, a series of atmospheric caves filled with ancient shrines. 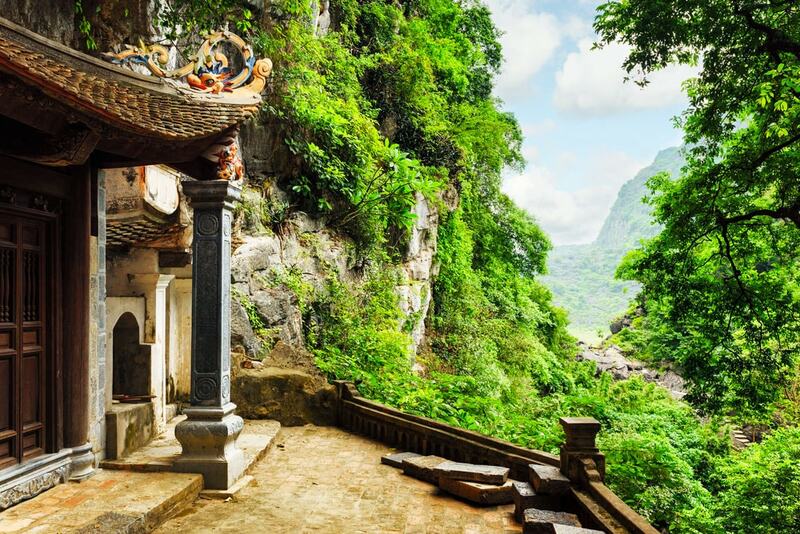 The pagoda surrounded by many limestone mountains was very ancient and famous. 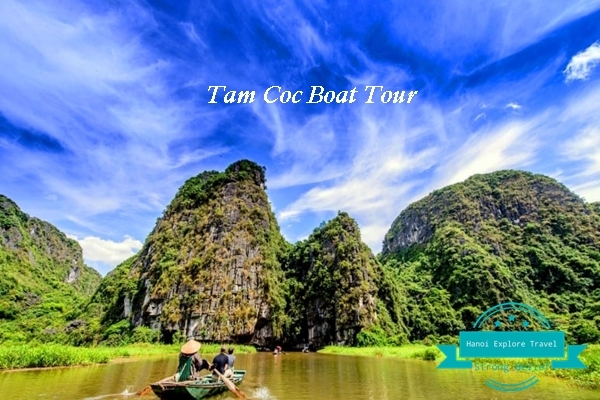 It is about 2 km far from Tam Coc wharf. 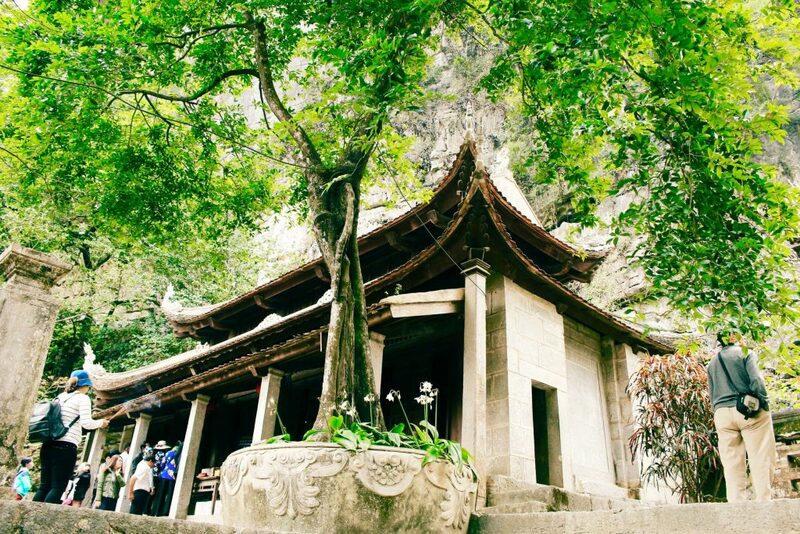 There are three destinations: the lower, middle and upper pagoda are main ways to visit Bich Dong pagoda in ascending order. 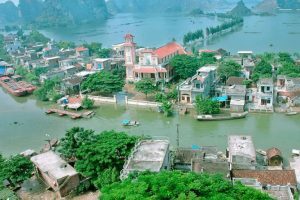 Going upstairs to explore the historical points or you can also take a boat riding around Bich Dong, it will take an additional 3 hours. 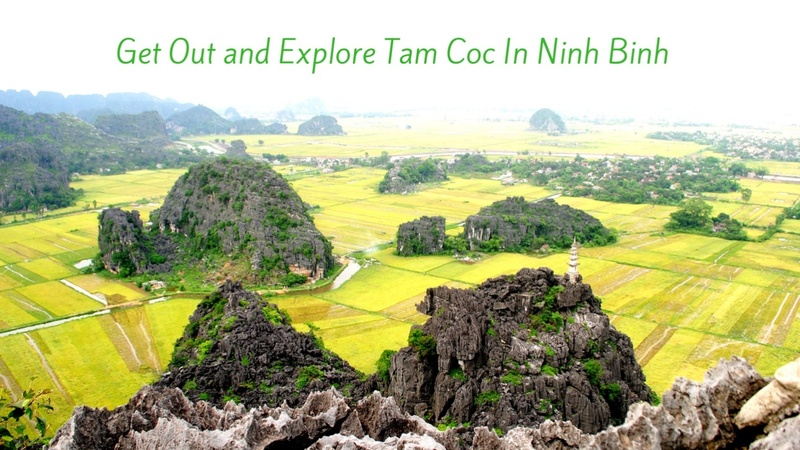 Tam Coc Bich Dong is about 90km far from Hanoi centre, heading on the high way 1A you can move to Ninh Binh City by taxi, car or motorbike. 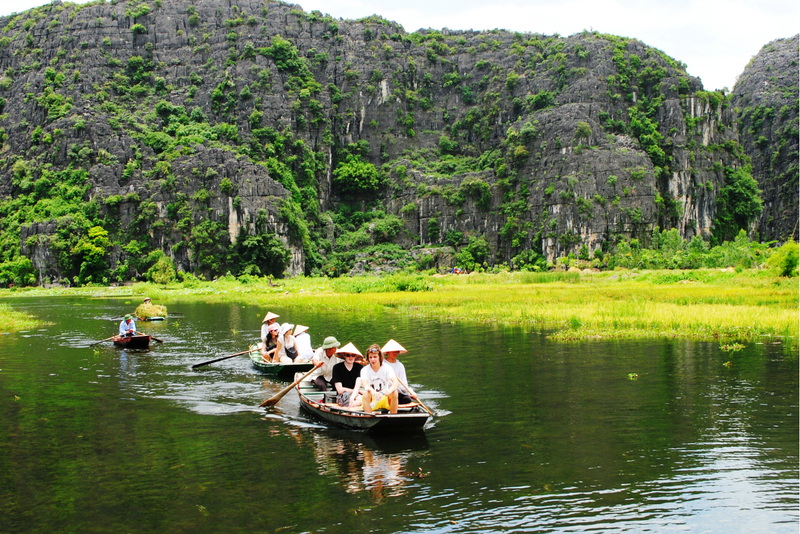 Then continue a distance of 25km further you’ll see Tam Coc Bich Dong. 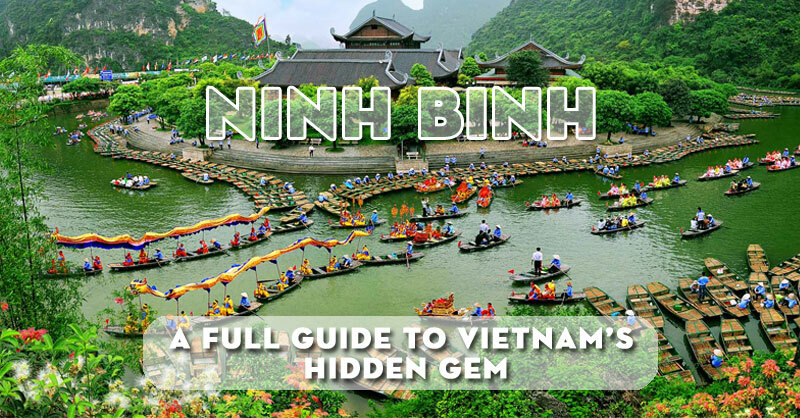 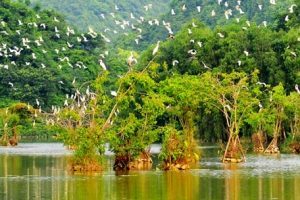 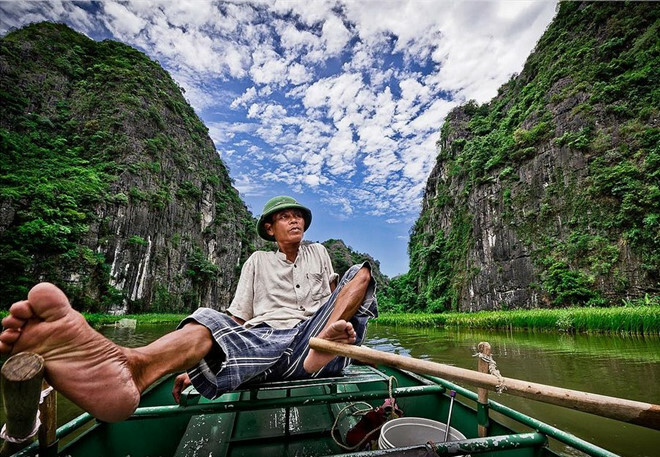 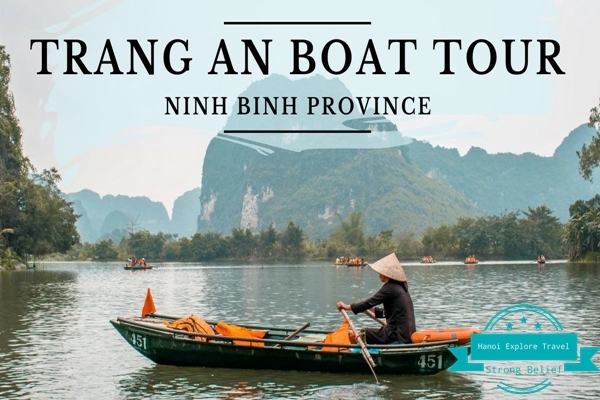 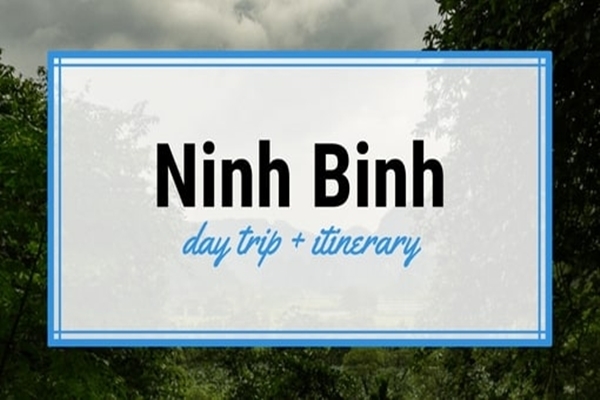 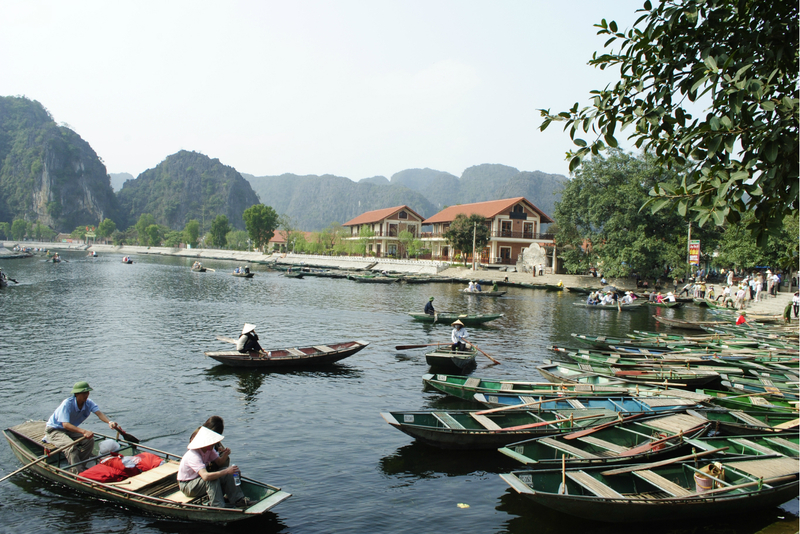 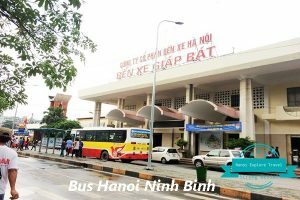 Boat tours from Van Lam wharf, Thach Bich, Thung Nang, ThungNham – bird gardens, Dong Thien Ha ( galaxy cave)..
For the beautiful and famous Tam Coc nature in Ninh Binh, Viet Nam we highly recommend you spend some days free in Ha Noi to get out and explore Tam Coc Ninh Binh !